Activity on each social platform: Most small businesses have limited time and resources. If you know which social network is getting the most activity it helps you to focus your resources where they get the best results. 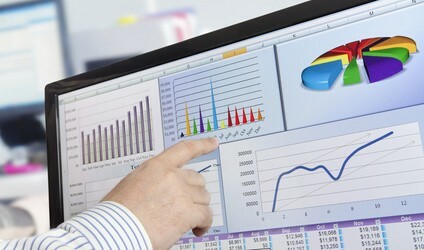 You should also track how many website visits, leads and customers each social platform is generating, advises HubSpot. Engagement: Every small business is focused on getting more sales. But before you can make the sale you have to engage with someone interested in your product or service. It’s very rare that you make a sale to a new customer without any interaction. Statistics show that they need to have, on average, seven “touches” before they buy. Social media is the perfect way to engage and lead the person through the sales funnel. Engagement could be a like, comment, share, retweet or mention. Remember that like a tango, it takes two be be engaged. Having your fans like and tweet is one thing – you have to enter the conversation for them to remain engaged. You have to respond. Conversions: This could be a sale, but it could also be getting someone to download a white paper, watch a video or sign up for your newsletter. You can use tracking codes to see how people repsond to your social content and offers. Google Analytics will help you track much of this activity. You could also use a social dashboard that keeps your stats automatically and prepares reports you can export and share with others. Get organized. Plan for 2014 – set your goals and measure your progress. the tools are available. Now is the time to learn to use them.